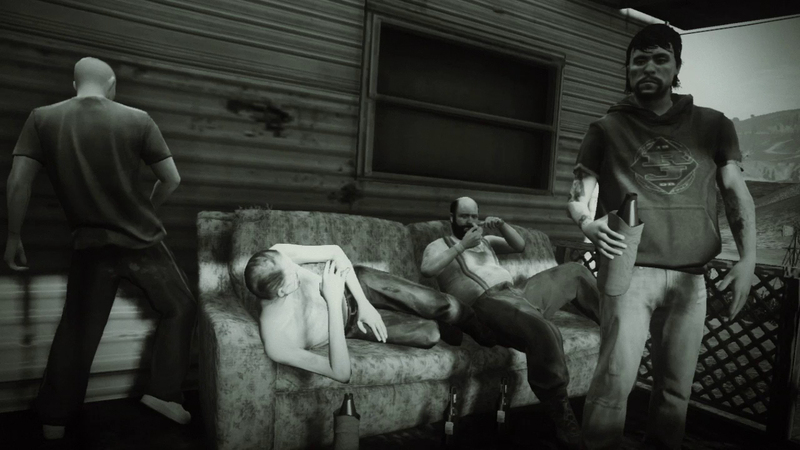 After you've recovered from gatherings with dysfunctional family members, participating in unplanned scuffles in department stores over drastically discounted kitchen appliances and engaging in wanton acts of mass poultry consumption, sneak back to Los Santos where a host of GTA Online items will be discounted this holiday weekend. Targeting your elusive bounty for the holiday table shouldn't cost an arm and a leg. Color-coded Discounts are the new black this season. These Grand Theft Auto Online deals start tomorrow, Thursday, Novermber 28th and all throughout the holiday weekend until the end of day on December 1st. 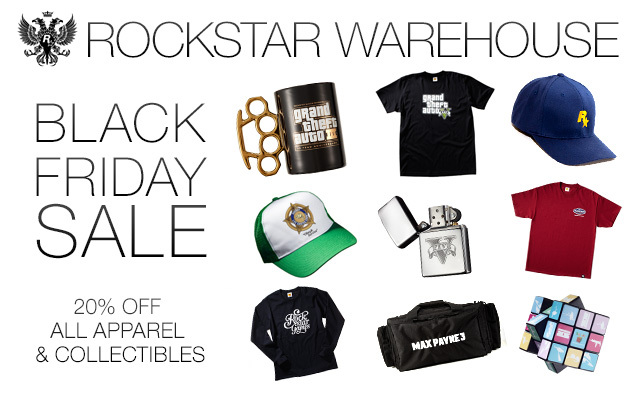 When you're done fighting through the mayhem at Rockford Plaza or indulging in GTA Online's Thanksgiving-themed discounts at Ammu-Nation and Los Santos Customs, hit up the Rockstar Warehouse for their annual Black Friday Sale. Rockstar is offering a special 20% off discount on all collectibles and apparel. This includes all the latest Grand Theft Auto V gear like the Zippo Lighter and Bugstars Logo Tee, plus everything from classic titles like Red Dead Redemption and their entire inventory of Rockstar Games branded shirts & apparel. This offer starts on Friday morning at 12:01am Eastern Time US and ends at 11:59 PM Monday night. Awesome deals! See you online and join us in the forums! 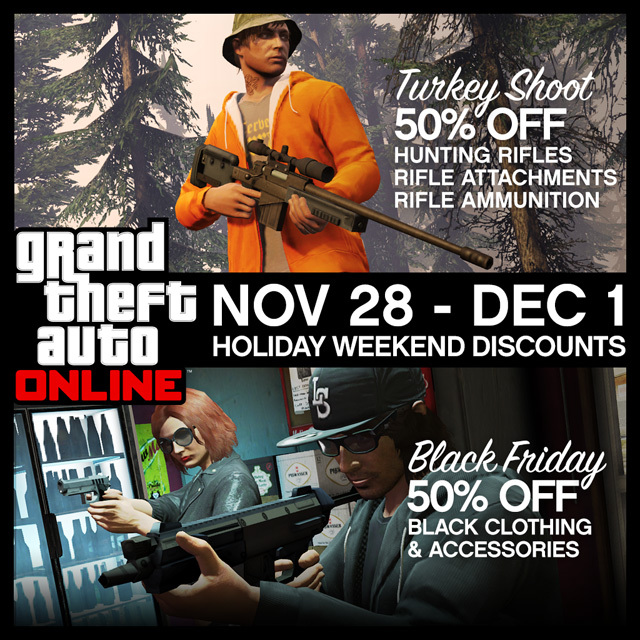 Black Friday Weekend Sales: GTAO & RsWarehouse - Celebrate the holiday with deals in Grand Theft Auto Online and in real life at Rockstar Warehouse.